When Ed Kopetsky took on the CIO role at Lucile Packard Children’s Hospital Stanford and Stanford Children’s Health, he was already quite familiar with the organization, having worked with leadership for several years to create a foundation for advanced technology. As CIO, one of his key priorities was to lead the transition to an integrated EHR platform. It was done — and with flair. The organization successfully executed three big-bang, Epic go-lives in a period of four months, and just one year later earned HIMSS Stage 7 recognition, both in inpatient and outpatient. But if you ask Kopetsky, his familiarity with the organization wasn’t the key factor in expediting such a gargantuan task; it was his team. 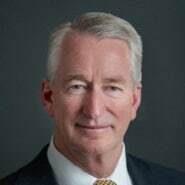 In this interview, the CHIME-HIMSS John E. Gall Jr. CIO of the Year award recipient talks about how they’re working together to achieve the ultimate goal: advancing the care of pediatric patients. Kopetsky also discusses the growing role of analytics, the learning curve in going to a children’s hospital, how his mentors helped shape his career path, and attributes he believes are most important in future leaders. Gamble: First off, congratulations on being named CHIME-HIMSS CIO of the Year. I’m sure it’s a tremendous honor. Kopetsky: Definitely. This award is about the organization, and our leadership teams – both on the IS and executive level – giving us the opportunity to lead change. It’s a reflection of the great things we’re doing here as a team. Gamble: Let’s talk about the organization, which has seen quite a bit of change in the past decade or so. Kopetsky: Lucile Packard Children’s Hospital Stanford was really the founding entity. Since its opening 27 years ago, we’ve grown into a major pediatric network. We’re the largest health network dedicated to children and expectant mothers in Northern California, and one of the highest acuity children’s hospitals in the country. We’re ranked in all 10 pediatric specialties by US News & World Report, and we recently opened a major expansion that more than doubles the size of our inpatient setting. Our goal is to advance the science of medicine for children and share that across the country, and thanks to our partnerships and affiliations, we’re able to do that. Gamble: And you’ve been with the organization for about 10 years? Kopetsky: That’s correct. I was working as a consultant prior to that. I had spent most of my career in large, multi-entity organizations, so I wasn’t sure what to expect. But in the 10 years I’ve been here, there has never been a dull moment. We’ve never stopped, and that’s a credit to the IS leadership team here. If I get credit for anything, it’s helping to help build the team. If you ask any executive or board member, they’ll tell you that, and it really has been the case. Our last CMIO, Christopher Longhurst, went on to become CIO at UC San Diego Health; the role was filled internally by Dr. Natalie Pageler, who is part of the faculty for CHIME’s CMIO 2.0 Leadership Academy. These are recognized leaders, and I think it speaks very highly for Stanford Children’s to build the type of depth that allows us to take on growth and welcome challenges. We’re bending the curve, and it’s because of these people. The HIMSS Davies Award we were awarded in 2017 is industry acknowledgement that we are, in fact, accomplishing our mission. Gamble: I’m glad you mentioned that. Can you talk about the award itself, and the role IT played in these initiatives? Kopetsky: With the Davies Awards, you have to demonstrate in three different areas how the organization has been able to improve patient outcomes — and sustain them — using IT and analytics. In our case, we chose to focus on preventing acute kidney injury, medication safety, and clinical effectiveness (specifically in patients with congenital heart disease). We wanted to make sure care plans could be adjusted based on outcomes, which in turn could reduce the patient’s length of stay. And, I have to say, we knocked it out of the park. As CIO, my role is to enable the technology and support it. And so, although it was our IS and Clinical Informatics teams who presented the case studies, the frontline physicians were the ones doing the work. IS partnered with them, of course, but they advanced their own programs clinically, and they earned national recognition. To me, that’s one of the highest honors you can receive. That’s why we’re in this business. Gamble: Now, this certainly isn’t your first stint as CIO. Can you talk about some of the previous roles you held, and how you landed at Stanford Children’s? Kopetsky: Sure. I was CIO at Sharp HealthCare for about 10 years, then at Centura Health for about 4 years before joining HealthLink (a consulting firm founded by Ivo Nelson and Dana Sellers), in 2000. I was in charge of developing business in the western US area, which I found to be very interesting. A few years into the consulting role, I received a phone call from the CEO of Lucile Packard Children’s Hospital Stanford. They decided they wanted to create separate IS departments for the adult and children’s hospitals, rather than having a merged department, and I was tasked with leading that initiative and helping the individual departments to become more self-sufficient. From there it grew, and for seven or eight years, I remained a consulting partner to this organization. When I left HealthLink, (which had been acquired by IBM in 2005), I met with the Lucile Packard Children’s Hospital Stanford CEO; three months later, I was here. It made a big difference to have already established a relationship with the organization. When you can come in with that kind of rapport and trust, you’re going to be able to do great things together. Gamble: At that point, was Stanford Children’s’ Health on an integrated platform, or were there different EHR systems? Kopetsky: After the separation, Lucile Packard Children’s Stanford chose Cerner, and was an early implementer of the EHR and CPOE. However, they had retained Meditech for billing and accounts receivable, and shared services in place for other things. When I came here in 2009, about 80 to 90 percent of Northern California healthcare organizations were either already on, or migrating to, Epic. Within two years of my arrival, we made a decision to grow the community network, and so we acquired over 50 locations and more than 100 clinicians in outpatient, but we didn’t have a product on which to integrate them. We decided that if we were going to be able to interoperate with all the organizations we shared patients with, we were going to have to convert to Epic, and that’s what we did. We converted the entire enterprise during the summer of 2014. We had three big bang, go-lives in four months. And so, in essence, we became a health system in four months. Prior to the conversion, we were on eClinicalWorks in ambulatory, and had other systems as well, but we were able to convert everyone between May and August. One year after those go-lives, we achieved HIMSS Stage 7, both for inpatient and outpatient. To me, that’s a mark of success. It’s a clear indicator that this is a stellar organization, and a stellar IS department. Gamble: I’ve noticed you refer to it as IS, rather than IT. Kopetsky: That’s right; we call it Information Services; we actually changed the name from Information Technology because we wanted to focus on serving our clinicians and patients, and so it was important to make that clear. We’ve also adopted a Lean culture that’s centered around where real value is produced — for us, that’s patient care and clinical research. Gamble: I imagine digital health plays into that. Can you give some thoughts on how the organization is utilizing data and digital tools to drive outcomes? Kopetsky: Absolutely. 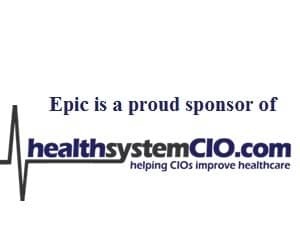 We’re a learning health system, and we have a robust analytics infrastructure we’re implementing in parallel with Epic. That way, we can look at our data retrospectively and say, ‘what did we do that led to better outcomes? We’re using analytics to learn from our history. Beyond that, we’re involved in data sharing consortiums with other children’s academic medical centers to utilize big data on a national level. So we’re doing this on our own, as well as with other organizations. Secondly, we have a digital health program we’ve tagged, ‘In our care, anywhere.’ We have extremely ill kids, sometimes with multiple diseases or organ failures, who require complex care, and have long-term needs. And so we’re moving the standard of care from a facility-based hospital or clinic environment to virtual, using sensing technologies and remote monitoring capabilities. We’ve innovated around type 1 diabetes using solutions that obtain glucose readings every five minutes, and now we’ve launched a cardiology app that notifies clinicians of any change indicators and helps determine when a child will need surgery. This is critical for our congenital heart patients, who require three surgeries over a somewhat unpredictable time period. These tools are opening the doors to predictive medicine. I believe those will be two major areas of innovation in the next five years, and I’m really excited about it. Gamble: And as you touched on earlier, there’s a lot of coordination that has to happen with other organizations. Has that been a key priority? Kopetsky: It has, and it continues to be. We built a foundation for interoperability, and that has enabled us to exchange nearly 20 million clinical documents in 50 states, with caregivers across the country. We’re involved in a national HIE for organizations that aren’t using Epic, which enables us to extend that interoperability and exchange data with those organizations. As a children’s hospital, we have to partner with everybody. It’s core to who we are.